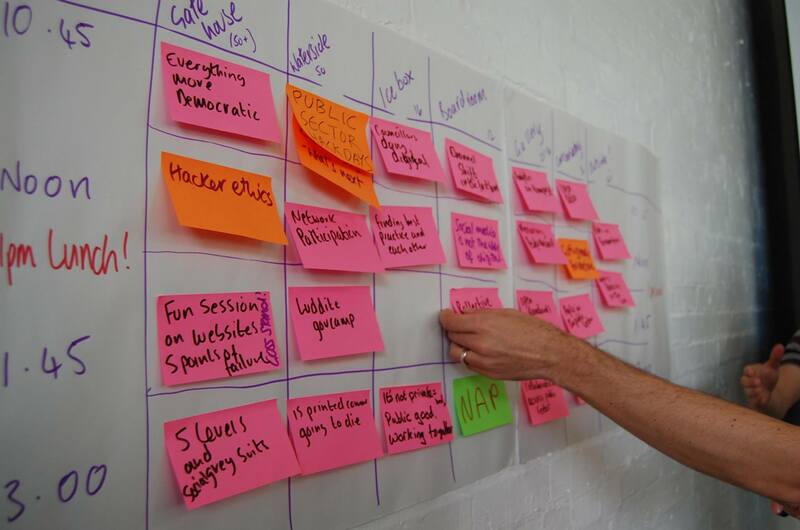 An unconference is an open event where the agenda is set on the day by the attendees. At the start of the day, anyone is welcome to come up and pitch an idea for a session to the audience. Organisers will then take the idea and allocate it a room on the session grid. If there are similar ideas for a session, we may propose combining them together. Each session will have a Google Doc, sticky notes and pens to make notes. All participants in the session are encouraged to help take notes so others can read about the discussion that took place. There is no specific format for a session but you are encouraged to make them interactive and have lots of discussion – no-one wants to sit through a 45 minute Powerpoint. No preparation is required for a session. Go with the flow – these events are to try and help you share and learn from others. Go to the sessions that interest you – if it’s not working, say so or try another session. Help the session lead – take notes, make sure that everyone has a chance to speak. Don’t be upset if only 2 people attend your session, it’s not a popularity contest. Don’t assume people know more or less than you. Depending on the size of the group, it might be worth taking 2 minutes to find out who everyone is and where they’re from so you can steer the session in the right way. As the person who proposed the session, share some more context at the start to get the discussion going. You don’t have to use all the time in the session. If you reach a conclusion in 20 minutes, great! People can then have a break or join another session. Don’t feel you have to prepare but do try and have some idea what you’d like to get out of it.